Mike's career in racing began at a very early age. At the youthful age of four, when most young boys dream of being firefighters and policemen, Mike was dreaming of being a NASCAR Cup Champion. When only eight years old, he was in the shop learning everything he could about a racecar. He was a member of a Late Model Stock Car pit crew when he was just twelve years old, competing at various tracks throughout the southeast including Orange County Speedway and South Boston Speedway. In 1993 at the age of 15, Mike strapped into the driver's seat himself, piloting a go-cart in the Junior Restricted Division at the newly opened Orange County Kartway in Rougemont NC, while also competing a couple of times at Cornwall, NC’s Super Karting Speedway. He collected three top fives, while learning much about the go-cart. The next year, Mike jumped to the Stock Medium Division at the highly competitive OCK. Mike collected three wins and seven top fives out of twelve starts, while garnering seventh in the points standings out of over 40 drivers. In 1995, Mike attended the Richard Petty Driving Experience at Lowe's Motor Speedway in Charlotte to prepare him for his jump to stock cars. After reaching speeds of over 142 mph, he was placed in the top five of the speed charts. 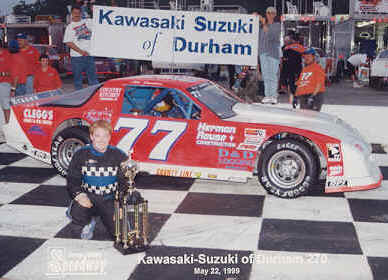 This was the same year that Mike made the move to the Pure Stock Division at Orange County Speedway. In his rookie season, he posted two front row starts and nine top five finishes out of eleven starts and placed fifth in the points standings. This earned him the honors of Rookie of the Year. In 1996, Mike started working at a racecar shop in Virginia to gain even more knowledge about the cars. Mike continued racing in the Pure Stock Division at Orange County in 1996, securing six front row starts, two poles, two runner-up finishes, and nine top fives, while finishing third in the points battle. The next year, Mike earned co-champion honors in the Pure Stock Division with seven front row starts, two poles, one win, three runner-up finishes, and nine top fives. He was named the Most Improved Driver for the Division and had the distinction of being the only driver at OCS to finish in the top five every race. 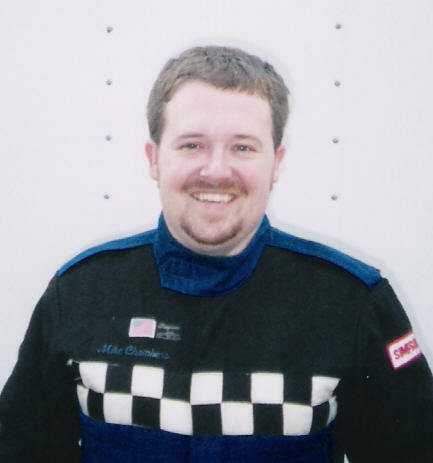 Mike felt the need for a greater challenge, so he made the move to the Limited Sportsman Division in 1998. He posted three front row starts, one win, three top threes, and seven top five finishes earning him the third position in the points standings his rookie season. Even more impressive was the fact that Mike only missed winning the championship by a mere two points after leading them for over half of the season. He was the only driver to complete all laps of competition and placed second in the rookie standings. In 1999, Mike again competed in the Limited Sportsman ranks with one win, four top threes, and seven top fives, placing him third in the points standings once again. 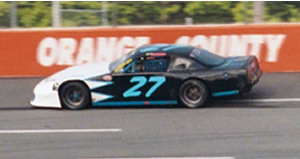 Mike also competed in the Late Model Pro Truck Division when they competed at Orange County. Out of three starts, he collected one top three and two top five finishes. 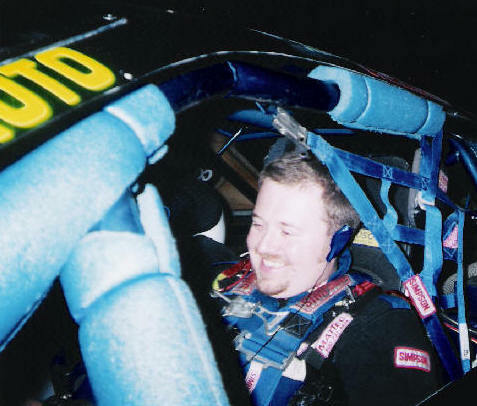 In 2000, Mike decided to make the move to the very competitive Late Model Stock Car Division at Orange County Speedway with an in-house car, running with the likes of Scott Riggs, David Blankenship, Maurice Hill, Wayne Patterson, and the 1993 national champion Barry Beggarly. Mike posted two top tens and ten top fifteens, while finishing 16th in the points standings out of 45 drivers that competed at the track. After missing several races due to a lack of funding, he still placed second in the rookie standings. In 2001, Mike posted a top ten finish in the points standings with five top tens and 18 top fifteens. Mike continued to compete with the highly funded teams at OCS in 2002 with an under budgeted team, still managing three top tens and four top fifteen finishes out of eight starts. He was unable to compete in several races this season due to an accident that was not his fault. Mike was still awarded the honor of being second runner-up in the Most Popular Driver Standings for LMSC, which is voted upon by the fans. Mike also ventured out to Coastal Plains Raceway and South Hampton Motor Speedway to gain more experience at different tracks. In 2003, Mike again raced at Orange County for points. He had a streak of top tens going when the engine blew in July. Mike collected ten top tens throughout the year and ranked 10th in the points standings out of over 43 drivers. He narrowly missed finishing eighth in the standings by a mere four points. In 2004, Mike had the opportunity to race at Southern National Speedway in Kenly, NC and at South Boston Speedway in South Boston, VA. In only his second career start at SBS, Mike brought home a 9th place finish among 21 of the top teams after running in the top six for a majority of the race. He was only able to participate in eight races in the season due to a lack of funding for the Tech Racing team. He had one top ten and six top fifteens. The 2005 season only allowed Mike to race three times at South Boston Speedway. The opening event saw Mike moving up through the field when his night ended. He hit the wall after the sliding through the oil slicked surface that was left by another's loose rearend plug. Fabricating a new front clip & suspension, while maintaining his sister's racecar, took most of the season. Mike made his comeback in early September with the goal of using the race as a testing session due to racing on tires from the first race in March. He was doing well for his circumstances when another driver overdrove the corner going into turn one and took Mike out. His third outing came two weeks later. A lap one incident took Mike's right fender off and messed up the nose, causing handling issues. He finished the race in 14th of 28 cars after qualifying 21st. The 2006 season saw Mike returning to the newly re-opened Orange County Speedway. He started nine races, bringing home one top five, six top tens, and never finished outside the top 15. The team continues to make strides and are confident they will pick up their first late model stock car win this season. In the future, Mike has sights set on wins, while pursuing his dream of making a career out of racing. Not only does Mike drive the racecar, he is very knowledgeable about the setup and fabrication. Since 1999, he has been the spotter and the car chief on his sister's racecar and has been an avid fabricator of racecar parts and set-up person not only for his team, but for many local drivers as well. He is also serving as an advisor to many teams in the area.